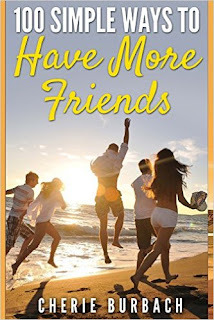 An interview with author Cherie Burbach about her nonfiction book 100 Simple Ways to Have More Friends. 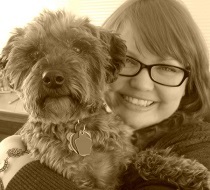 I’m a freelance writer and mixed media artist. I enjoy making soup for my husband, I love Jesus, and I never miss a Packer game. My book, 100 Simple Ways to Have More Friends, offers ideas for meeting new people and nurturing the friendships you already have. It’s a resource you can read straight through or go back to occasionally when you’d like some ideas on improving your friendships. I think anyone that has ever been frustrated by the process of meeting new friends or figuring out how to get along better with their friends would enjoy it. People who are lonely or just want folks in their corner who “get them” would benefit as well. It’s for anyone who wants to connect easier with others. I think the desire for better relationships is pretty universal with most of us. What inspired you to write a book about having more friends? I’ve been writing about relationships for over a decade and hear from readers all the time about their questions about friendships. I wanted to write a resource that would enjoyable to read in one sitting or that could be used again and again when you just wanted an encouraging word about making friendships work. How does social media affect modern friendships? Social media can help us communicate better with our friends or it can complicate things. It depends on what we’re using it for. There is no replacement for face to face contact, so people who use social media in place of seeing their friends in person often feel lonelier and “left out” of things. Social media is great just to say “hey,” and connect in addition to the other things we do with friends, but it isn’t a substitute for hanging out with them. What do you think are some of the biggest mistakes people make when trying to start/find new friendships? Not giving enough time to getting the friendship going and trying to be “close” too soon. It takes time to meet new people and find the right friends for you. I just released a book of poetry called Angel Toughness and after that I’m working on finishing a novel I have started.